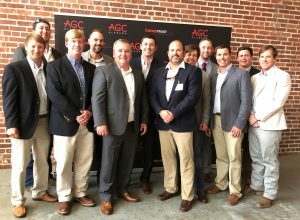 AlabamaAGC was pleased to announce the inaugural class of 40 Under 40 in Construction at a social held on August 23rd at the Cahaba Brewery in Birmingham in conjunction with Business Alabama. These young men and women are the rising stars of our industry. Congratulations are extended to all. Rolin Construction, Inc.; and Shaun Stapleton – John G. Walton Construction, Inc.
H. O. Weaver & Sons, Inc.
John G. Walton Construction, Inc.